Travel comes at a cost – and not just in terms of our hard earned money; most of the common forms of transport are energy hungry and given our reliance on traditional fossil fuels this inevitably means that the environment pays the price. However, the tide is beginning to turn with the steady rise of a variety of alternative fuels designed to clean up our collective act when it comes to getting around by road. Although the current upsurge in interest in gas-conversion makes it seem a very recent innovation, the idea is not a new one; cars and other vehicles were converted to use town gas during the petrol rationing days of World War II. There are two main contenders – Liquefied Petroleum Gas (LPG) and Compressed Natural Gas (CNG). LPG burns more cleanly than petrol or diesel – a diesel engine produces over 20 times the Nitrogen Oxide (NOx) and more than 100 times the fine particles that an equivalent LPG vehicle releases. Cars converted to LPG can still use unleaded petrol, so running out of gas – there are only around 1,000 filling stations in the UK for LPG at the moment – should not be a worry and generally the performance and mpg remain little changed. Compressed Natural Gas (CNG) is even cleaner than LPG, producing 20 per cent less carbon dioxide, slightly more than half the carbon monoxide and less than half the NOx than petrol or diesel. Like the LPG conversion, CNG-converted cars retain the ability to burn their original fuel so they can always revert at the flick of a switch – a useful trick, given that there are only around 25 stations in the UK that offer this fuel! Produced from vegetable oils, animal fats or recycled cooking oil, biodiesel is renewable fuel which burns up to 75 per cent more cleanly than its petroleum counterpart, with significantly reduced unburned hydrocarbons, carbon monoxide and particulates being released. Capable of being used in any diesel engine – in most cases without modification – it can be mixed with ordinary diesel fuel and is claimed to give significantly better lubrication, which means less wear and extended engine life. Although popular in many parts of Europe and gaining ground in the US, biodiesel uptake in the UK has generally been slow, though this may change in the future. 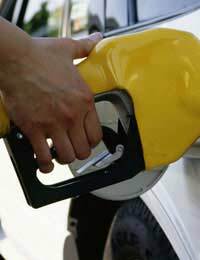 Ethanol is commonly used as an additive in petrol in the US to increase octane and improve the emissions – the most common blend being E10 (10 per cent ethanol). While this reduces emissions, it does not qualify as an alternative fuel, though higher concentrations such as E85, (85 per cent ethanol and 15 per cent petrol) which require special “flexible fuel vehicles” (FFVs) certainly does fit the bill. Though not so commonly used, methanol, sometimes known as wood alcohol, can also be used as a flexible fuel, M85 being a blend of 85% methanol and 15% petrol. Although these renewable fuels are cleaner than their traditional fossil fuel counterparts and despite growing moves from US manufacturers towards greater production of FFV models, they have not currently made any impact into the UK market. However, methanol may come into its own when fuel cell technology finally becomes mainstream as a possible source of the hydrogen needed for it. If alternative fuels are going to play their part in reducing the impact of our need to travel, then it will be on our roads, not our skies that this contribution will be made. Since the big problem with motor vehicles is their emissions – which are defined by the fuels they burn – anything which helps reduce the environmental dangers associated with what pours out of the exhaust has got to be good news. Algae: The Future of Biofuels?